We all know how con artists work the streets. One might bump into you in a train or in a crosswalk, while the other grabs your wallet. Or one might smile and chat with a mom at a playground, while her partner nabs the purse. Patients and consumers may want to watch carefully for the congressional version of the distraction scam, a series of stealth bills that aim to strip them of valuable legal rights and protections they’ll need if harmed by big hospitals, rich doctors, big insurance companies, or giant corporations. With so much commotion under way with the new administration, Republicans sneakily have launched a furious, multi-pronged so-called “tort reform” campaign. They’ve wanted it for a long time. They insist it is needed to curb excess and frivolous lawsuits, to save money for Uncle Sam (who often is a defendant), to make the economy work better, and to add jobs, and to make life in general more wonderful. Their arguments are counter-factual and lacking in evidence. Bloomberg news service has reported that the package of bills, a flurry that makes it harder for opponents to mobilize against, is “aimed at tilting the [civil justice] system more in the favor of companies,” and away from ordinary individuals who’ve been hurt. Consider HR 1215, deceptively titled the Protecting Access to Care Act. (You need to always look for George Orwell’s hand in the titles of these bills.) The GOP-controlled House of Representatives is steamrolling this measure through, with the Judiciary Committee surprising Democrats and opponents by swiftly introducing, marking up, and advancing it for further consideration. [It] would cap damages that can be paid by doctors, hospitals, and nursing homes. (Many states already limit awards paid by individual providers.) It would cover individuals who are insured under Medicare, Medicaid, veterans or military health plans, and the Affordable Care Act, and could also impact people covered under COBRA or health savings plans. …In addition to capping non-economic damages, the new legislation would give immunity to drug companies in cases in which patients were harmed by FDA-approved prescriptions. Although the bill would not limit recovery of economic damages — such as lost wages, past and future medical expenses, and other out-of-pocket costs for victims of medical negligence — it would cap payments for a victim’s pain and suffering at $250,000. This would most affect people not in the workforce, such as the elderly, or children. Stat says doctors, hospitals, insurers, Big Pharma, and other big corporate health care interests are thrilled about this bill. Doctors long have claimed, without evidence, that the threat of malpractice suits forces them to practice costly defensive medicine, and that frivolous litigation increases the cost of modern medicine. But the Kaiser Health News service, an independent health information organization, recently posted a detailed take-down of this argument, based neither in reality nor fact. With KHN’s permission, I cross-posted the story to this site. It reports that doctors are seeing some of the lowest levels of malpractice suits and payouts, as well as insurance costs. The system is running smoothly and creating no unusual burdens. It also is protecting patients harmed while seeking medical services as they seek justice, and the often significant economic and other support they will need, sometimes for a lifetime. Republicans boast that they modeled the House law after a now hoary California measure, which put in a $250,000 cap on non-economic damages in 1975, with no adjustment since for inflation. They don’t mention that Gov. Jerry Brown, under pressure from famed consumer advocate Ralph Nader, has admitted the measure is off track and needs fixing. Californians can’t unwind the measure because it has such formidable backers, including doctors and hospitals. Bloomberg notes that Big Business is providing big bucks to remake the civil justice system in its interest, with the U.S. Chamber of Commerce and the National Association of Manufacturers playing big roles. The half-dozen GOP measures, Bloomberg says, “contain provisions to rewrite class-action practice, aid defendants striving to keep cases out of plaintiff-friendly state courts, and punish attorneys who file dubious claims. They also seek to put new limits on settlements entered into by the Department of Justice and the Environmental Protection Agency, and require more disclosures by asbestos victims who seek compensation from bankruptcy trusts.“ One also targets the settlement process for citizen suits. 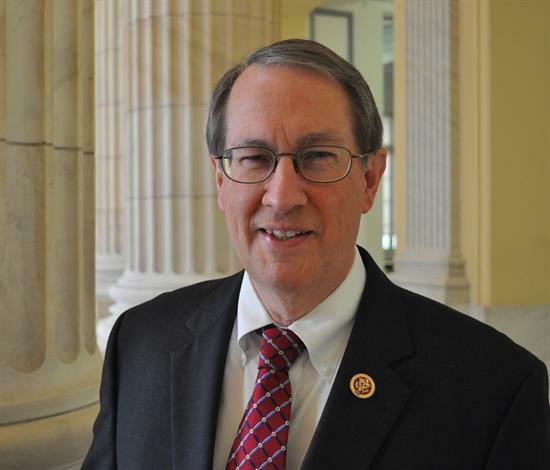 House Republicans, including Bob Goodlatte, a Virginian who has been a key ally for the asbestos industry and who chairs the Judiciary Committee, have been emboldened in pushing their retread proposals because the GOP controls all three branches of government now. But this wrong-headed effort can be traced to the “U.S. Chamber of Commerce and a small number of the chamber’s gigantic industry members who have liability exposure for harming the public,” Joanne Doroshow, founder of the consumer rights group Center for Justice & Democracy in New York, told Bloomberg. In my practice, I see the huge harms that patients can suffer while seeking medical services, and they certainly don’t need more obstacles or constraints as they seek justice and the often major economic support they will need, sometimes for a lifetime. Voters who might be interested in exercising their democratic rights to protest with their elected officials this attack on patients and consumer rights can refer to the pack of bills, including: HR1215 (affecting patient rights) and the others HR720, HR725, HR732, HR906, HR985. More information on each can be obtained through the Center for Justice & Democracy (click here), on the House Judiciary Committee site, though please note that Republicans control material posted there.